The art form of sound poetry brings together different forms of expression - written, sonic, visual, physique - without placing restrictions on meaning or structure. Therefore, a sound poetry event can also bring together artists - both professional and amateur - from different fields, to form collaboration and learn from each other. Previous sound poetry events in Helsinki - like the University of Helsinki Sound Poetry Course that took place in spring 2018, and the workshop organized in the Goethe Institute with the Berlin Sound Poets quartet - have already introduced the field and formed a loose group of connoisseurs and performers. This event hopes to bring together that group and hopefully expand it, to plan future performances and brainstorm ideas. There is only one wrong way to do sound poetry - and that is to NOT do it! Welcome all! stoyanovadiliana posted the initial proposal on 06 June 2018 11:40. Ava Grayson pledged 180ᵽ to this proposal. gurden pledged 20ᵽ to this proposal. 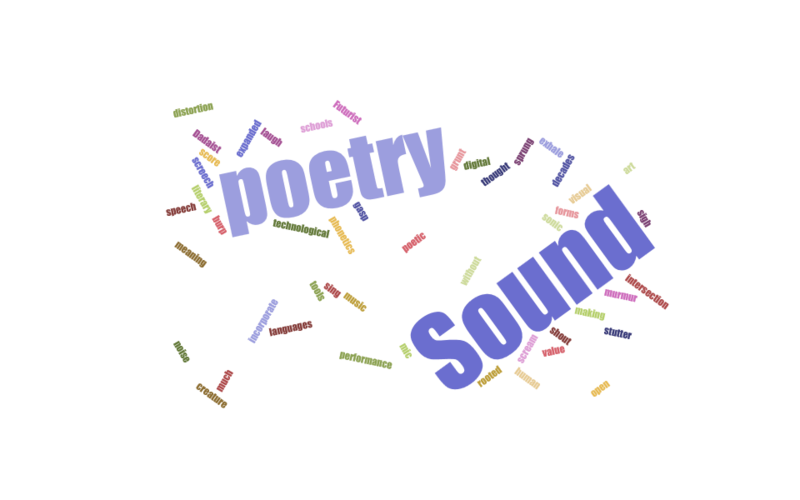 The event Sound Poetry Mixer was scheduled by stoyanovadiliana at 11 June 2018 17:43.